I've never done a proper profile page for J'onn J'onzz on this blog, seeing as there are plenty on the internet. However, a text piece from the September 1985 Super Powers "1ST ISSUE!" demanded I finally offer one up. 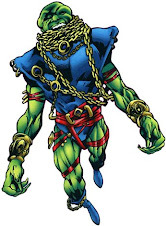 Martian Manhunter was first released in action figure form as part of the second wave of the Super Powers Collection, and therefore appeared in the second comic book mini-series to support the line. 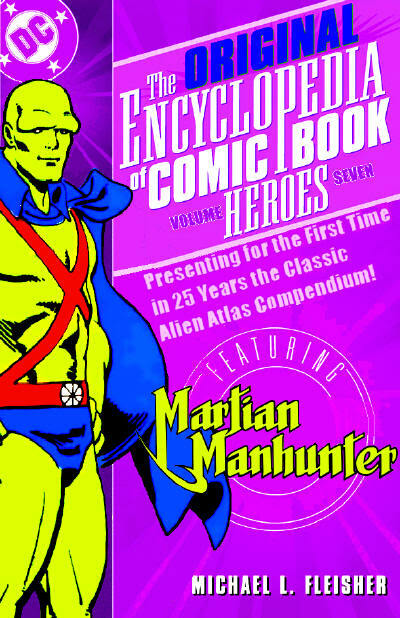 Since each mini-series ended before many letters of response could arrive at the DC offices in time for publication, column space was instead devoted to biographies of super-heroes featured in the book. Martian Manhunter and Aquaman dominated this first issue, so Bob Greenberger wrote pieces for each character. "To help newcomers better understand the players, this space will recap origins of the heroes and villains every issue." Though Greenberger plugged the new Who's Who: The Definitive Directory of the DC Universe, and promised his pieces would be culled from its character entries, his work here bore no resemblance whatsoever to that book. Instead, Greenberger offered biographies that were far longer and more detailed than anything Who's Who ever provided, and in the case of the Manhunter from Mars, also predated any such entry. In fact, I doubt a more clear snapshot of the Pre-Crisis Manhunter has ever seen print in an official capacity. 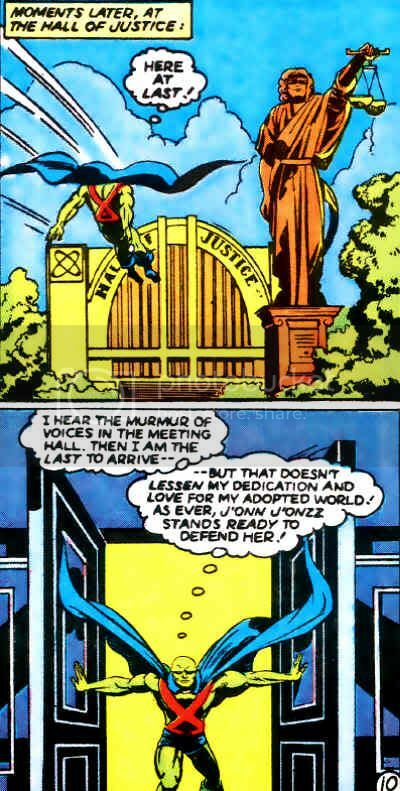 Also, note that this entry continues the editorial cannonization of the capitalized "Os" in J'Onn's name, at least in text pieces, dating back to 1971. Since it was spelled "J'onn J'onzz" in the House of Mystery logo, I assume this assumption applied to the Bronze Age onward. Anyway, the art is by Jack "King" Kirby, and heralds not just Martian Manhunter's arrival to the Hall of Justice or even the series, but to the modern DC Universe as an essential crossover character in their pantheon..
J'Onn J'Onzz was a scientist of great reknown on the nearby planet Mars. 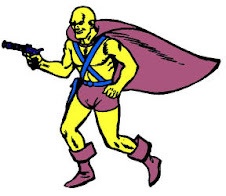 He was also an outspoken critic against the rising intolerance between the white- and green-skinned Martian races. The arguments turned to civil war that divided the entire planet and lasted for years. J'Onn became a warrior and then a general, commanding troops against his sworn enemy, Commander Blanx. After a crushing defeat at the hand of Blanx, J'Onn was sent into exile in the wilderness for 13 years. The dejected scientist had just begun his exile when he was swept off the planet by an experiment from Earth. Earth scientist Dr. Erdel was trying to find a way to communicate with life on other planets and used his latest invention to broadcast a signal into space. But Erdel incorrectly designed the signal, which was actually a transportation beam that brought a very confused J'Onn J'Onzz to Earth. The shock was too great for the frail old doctor, bringing on a heart attack, which killed him. With Erdel dead, J'Onn was stuck on Earth, and decided he had best learn about his new home until he could find a way back to Mars. 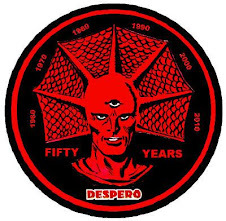 He used his natural Martian shape-changing abilities to become a human and began working as a police detective named John Jones (the human equivalent of his Martian name). J'Onn grew to like his new homeworld and studied its people with great interest. In time, the Martian Manhunter became an internationally famous crimefighter and was also a charter member of the Justice League of America. Years later, J'Onn finally returned home to Mars, only to discover it had become a dying world. In his absence, the civil war renewed and the entire planet had been decimated. With the JLA's help, J'Onn saved the few surviving green-skinned Martians. He defeated Blanx at last and then placed the remaining Martians aboard a giant space ark that brought them to a world now called New Mars. J'Onn found his link to Earth too strong and he finally felt like a stranger with his own people. He came back to Earth recently, helping the JLA stop a war against his own people, who had grown warlike, and chose to make Earth his permanent home. Proud of his heritage, J'Onn remains the Martian Manhunter and an active member of the JLA. The Martian Manhunter has a truly awesome array of powers. Besides being practically invulnerable, he has the power of super-breath, flight, invisibility, super-vision, and super-strength. 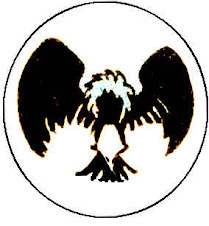 He also has the ability to walk through walls, as well as the power to transform himself into any creature and acquire that creature's powers and abilities. 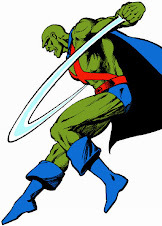 The Martian Manhunter cannot survive in a vacuum, and cannot use any of his powers when he is invisible. Most important, however is his vulnerability to fire, which can weaken and eventually destroy him. On Mars, the Martian Manhunter's real name is J'Onn J'Onzz. On Earth, he sometimes adopts the civilian identity of Detective John Jones. Jemm in "Superman: World of New Krypton"